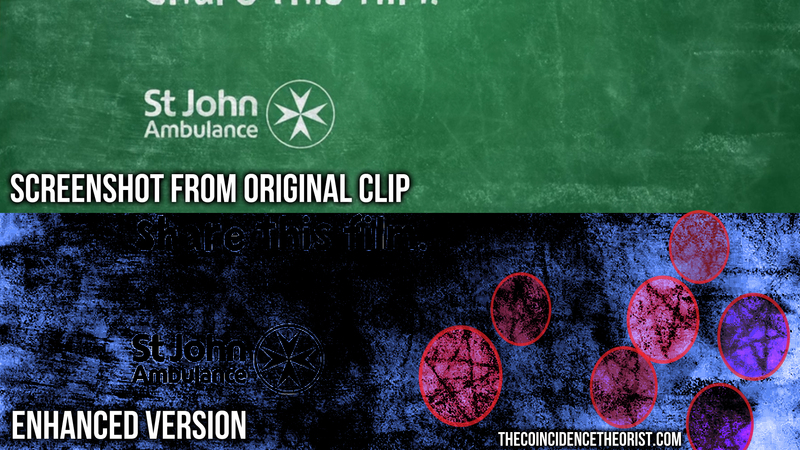 The latest St John Ambulance advert contains subliminal occult symbols, but it’s probably nothing to worry about. Cute nursery rhyme characters delivering a serious message? Check. A catchy song to accompany the video? Check. Multiple inverted pentagrams planted subliminally within the advert? Che…wait, what?! St John Ambulance recently released a short animation designed to teach people how to perform CPR on babies. It all seemed innocent enough until I noticed something strange at the end. If you pay close enough attention, you can spot several pentagrams hidden in the bottom right corner of the chalkboard. They appear very faintly in the final segment which lasts for about four seconds. What’s stranger still, is that most of the pentagrams appear to be reversed or inverted. Now, the pentagram is considered to be a powerful, ancient symbol with many different interpretations and is by no means evil in and of itself. However, some occultists view the inverted pentagram as a negative version of the symbol, since the highest element (spirit) is buried in favour of the two lower elements (fire and earth). 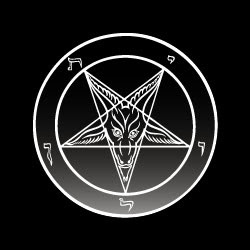 It’s true, for example, that the inverted pentagram is incorporated within the official symbol of the Church of Satan. 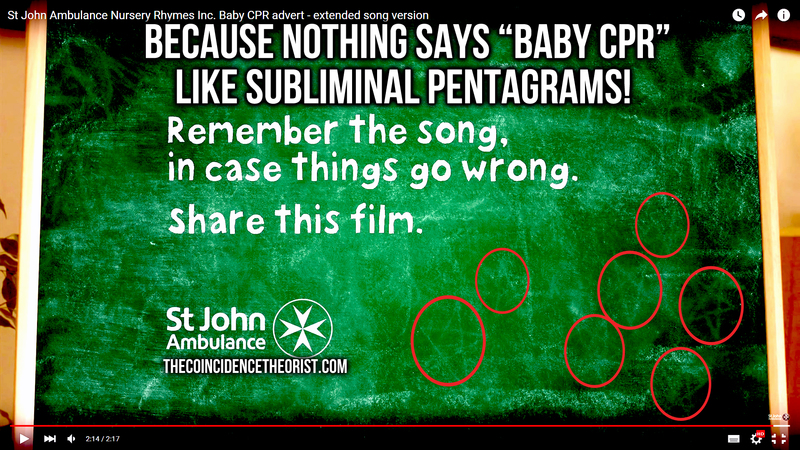 Bearing this in mind, you could see how some people might question why subliminal occult symbols are being deliberately planted in baby CPR adverts, but I doubt it’s anything to worry about. Maybe Humpty Dumpty just happens to be a symbol literate occultist and was sketching out some sacred geometry before the board was wiped. Who knows! http://thecoincidencetheorist.com/wp-content/uploads/2014/11/logo-testing2-300x137.png 0 0 TCT http://thecoincidencetheorist.com/wp-content/uploads/2014/11/logo-testing2-300x137.png TCT2016-02-08 12:42:492016-04-07 00:18:07Why Are There Subliminal Inverted Pentagrams In This “Baby CPR” Advert?